Our BERGRETTUNG range has been available since the 2006 vintage. Including the 2008 wines, it grew on a site in the »Enkircher Ellergrub«. Its steep terraced slopes were lovingly maintained by hand and all of the vines were supported by the traditional, labor intensive single wooden stock system. 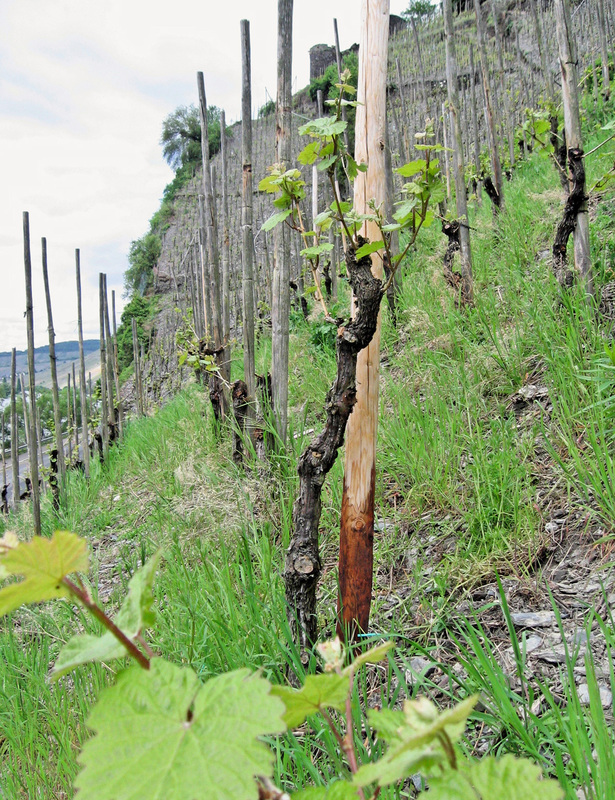 Returned to an excellent condition, the vineyard was eventually sold to a winemaker in Traben-Trarbach, who now continues the slopes history—a nice success for our maintenance project, of course! Thus, we moved on to another vineyard: An approximately 0,75 acre sized plot in the »Trabener Zollturm« tat needed urgent assistance. By now, it is carefully restored and bears lovely wines again. Our winemaking philosophy is refreshingly simple: The character and caliber of wine is decided by nature; it is our responsibility as winemakers to release its potential. If you are interested in the BERGRETTUNG, feel free to send an e-mail to mail@melsheimer-riesling.de. We will be happy to make you an offer based on the actual shipping costs to your country.